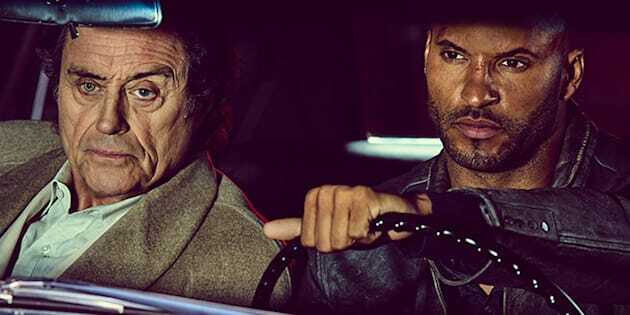 God that's good: Ian McShane and Ricky Whittle star in Bryan Fuller's 'American Gods'. One of the most hyped series of 2017 is making its quiet debut on Prime Video, Amazon's streaming service that soft-launched in Australia at the end of last year. Based on Neil Gaiman's novel of the same, 'American Gods' is set to premiere in the US on April 30, and according to Amazon, Aussies will see it hitting the Prime Video service on May 1. The eight-episode series stars Ricky Whittle as Shadow Moon who, days from completing a three-year stint in prison, learns his wife has been killed and is released early. Back in the world, Shadow meets a man named Wednesday, played by Ian McShane, who hires Shadow to be his bodyguard, without realising he actually agreed to become a key player in a war between gods. The series was developed by Bryan Fuller, the man responsible for NBC's cult-hit and critical success 'Hannibal' who worked with Gaiman to produce the series. It also stars Emily Browning, Crispin Glover, Bruce Langley, Yetide Badaki and Orlando Jones as well as Fuller favourites Gillian Anderson and Kristin Chenoweth. From 'Hannibal' to 'Pushing Daisies' Fuller has reveled in creating beauty out of morbidity and brutality, and from the glimpses of 'American Gods' that have been released, the series looks to be doing more of the same. 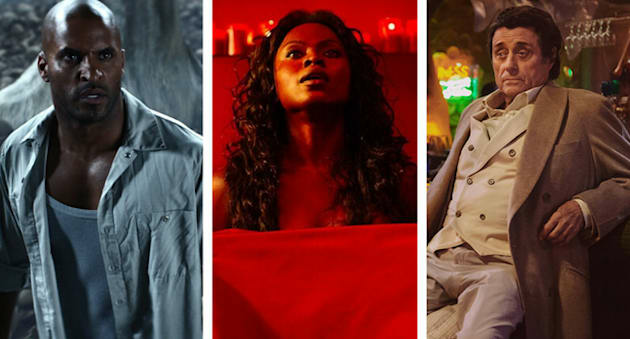 Ricky Whittle as Shadow Moon, Yetide Badaki as Bilquis and Ian McShane as Mr Wednesday in Starz's upcoming "American Gods". While Prime Video's offering is still a building library, with many Amazon original series like 'Transparent' and 'Mozart in the Jungle' sequestered off to streaming services like Stan, 'American Gods' is the first drawcard to pull Aussie audiences to take the platform seriously. Prime Video launched soon after Amazon made 'The Grand Tour' available to watch for Aussies, and it was recently suggested they would be bringing their full suite of offerings down under by late 2018.